Work on the Canalside regeneration of Sheerwater will begin soon, after the latest plans were approved by Woking Borough Council. This major project will create nearly 1200 new homes, almost half of which will be affordable housing. The old 1950s housing stock will be replaced with a variety of high quality new homes for rent and sale that are energy efficient and cater for people through all stages of life. In preparation for an early start to construction, empty property has been secured and made safe. Woking Borough Council’s Planning Committee last night approved the latest hybrid planning application submitted by ThamesWey Developments Ltd. It gives consent for up to 1,142 homes with detailed consent for 695 of these, taking the total number of homes with full planning permission to 834. ThamesWey Chief Executive Mark Rolt said: “We’re looking forward to getting started on making the vision for Canalside come to life. This is a fantastic project that will breathe new life into the area. 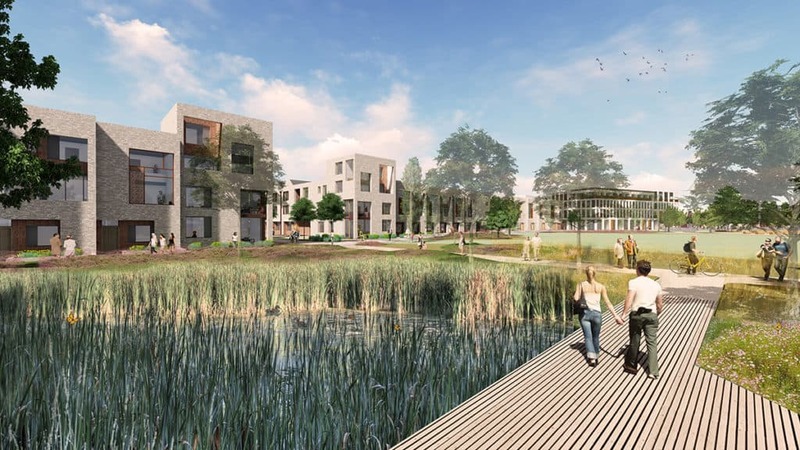 Canalside is a 74-acre (30-hectare) development of contemporary homes set within distinct neighbourhoods built around a large central parkland area – the development’s ‘green heart’.